After I posted my video on how we notebooked in our homeschool for history and science (video below) I had so many people ask what resource I used to line them up. 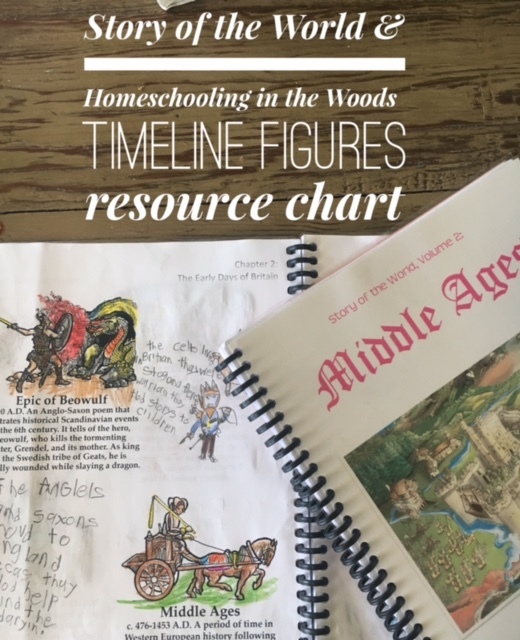 Today I wanted to share with you my chart (click here for it: Story of the World Volume 2 figures) that lines up the History in the Woods Time Line Figures (which I LOVE) with Story of the World Volume 2. I hope this helps you coordinate your notebooks, timelines or coloring pages. On the chapters that didn’t have coordinating figures (which were rare) I just placed a blank piece of notebook paper so they could notebook the chapter freehand.